“Scientists recently developed a blueprint to fabricate new nanoheterostructures using 2-D materials. Nanoscientists at Northwestern University have developed a blueprint to fabricate new heterostructures from different types of 2-D materials. 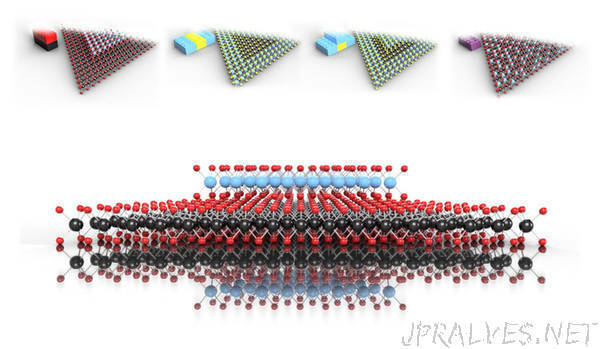 2-D materials are single atom layers that can be stacked together like “nano-interlocking building blocks.” Materials scientists and physicists are excited about the properties of 2-D materials and their potential applications. The researchers describe their blueprint in the Journal of Applied Physics, from AIP Publishing. The group was inspired by the science of time-temperature-transformation diagrams in classical materials, which maps out heating and cooling profiles to generate precise metallic microstructures. Based on this method, the researchers packaged their findings into one diagrammatic technique — the Time-Temperature-Architecture Diagram.